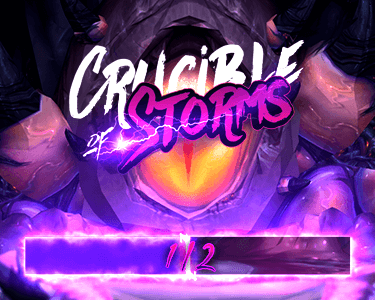 There have also been a couple of Argus kill over on Asia servers, with ShadowSoul and Style War getting the first two 11/11s! Meanwhile the number of guilds done with Antorus in the US, OC and EU is up to 44. Day 2 brought a LOT more raid clears, as we're up to 30 guilds with Argus down and Antorus done! The EU rankings have been stable for long enough, we we've updated the tables below. We also have 14 guilds done with Heroic Antorus and that have killed Argus! The huge project we've been working on for a long time is finally ready: the Raid History World First Timeline is here! Head on over to https://www.method.gg/raid-history and check out all World First dates, guilds and kill videos for the entirety of WoW's history, as well as articled related to those raids! So, Antorus has opened and closed for the EU servers, as three guilds are already done with the new raid. Libertad claim the EU first on Argus and 11/11, followed by Exorsus and Bleached Bones. We then have a bit of a jump down to 8/11 with Taiga, then two on 7/11 with Depthcore and Far East. Area ThirtyOne and Executre are on 6/11, with Ego Proxy and Honolulu having downed 5 bosses, Unity 4, Danish Exiles 3 and finally Ad Hoc, and Catalyst on 2/11. Over on the US side the tables shifted around a bit, but Argus remained unchanged. A lot more guilds have made it to the finish line/have been registered on armory, as we climb to 9 on 11/11. Encore jump into third place and along with Lethal bump Nurfed down 2 spots into 5th. HC, Dramatic, Indestructible and Big Dumb Guild make up the rest of the top 9, with 7 more guilds with only Argus left to go. We have two more 11/11s, with Occasional Excellence and Nurfed claiming the World 2nd and 3rd on Argus! Strawberry Puppy Kisses join Visionz on 10/11, as Vigil and Deadbeat Dads move up tp 9/11. The tables have all been updated with the current standings, but those are likely not the final ones as they will probably still change quite a bit, especially the latter bosses. More action as we get a 10/11 with Visionz and two 9/11s with Friendly Banter and Infinity! We also have Reload join the group at 8/11. It seems the big boys did indeed claim the Heroic race as well, as Mythic progress guild Easy possibly/probably got the World First on Argus, and we get a video as an added bonus! The definitive news on whether it was actually the first kill will take a while to sort out. We still don't have any guild piercing the current 8/11 ceiling, but a few more have arrived at it. We have two Mythic progress guilds showing up to potentially spoil our fun if they head on to clear the raid first, as Limit and Easy arrive, with Friendly Banter also joining the 8/11 crew at the top. 7/11 remains the same with The Early Shift and Hybrid Theory sitting pretty, while Two Strike Policy got some company on 6/11, namely Rise Above, Wetboys and Overcoming. Regency remain the only ones on 5/11, while the 4/11 crew grows to 7 guilds. Five guilds are on 3, nine on 2 and only two on 1/11. As the updates continue, we're seemingly only up to 8/11, with DarkParadise heading to the No.1 spot, followed by Accidentally at the same killcount. Former leaders The Early Shift are at 7/11 along with Hybrid Theory, while Two Strike Policy are at 6/11, Regency at 5, Infinite Warsong and Apex on 4. It's still a little early to actually start filling out those rankings tables, as the World First kills take a long while to get sorted, but we'll get started on that soon as well. Finally more updates, as we still seem to be at 6/11 with The Early Shift in the lead, but we do have Infinite Warsong, Regency and Hybrid Theory on 4/11, Esprit on 3/11, Onsläught, Velocity, Kolmillo rojo on 2/11 and finally, Fusion with only one boss down. Wowprogress have the upper hand on Heroic tracking, as there's plenty more guilds showing up over there (although The Early Shift is only shown as 2/11, so neither site is quite right). Following The Early Shift are Velocity, Aggressive and Friendly Banter, all logged as being on 1/11! It'll take quite a while until we see who actually got any of the first kills, but we should at least get a better feeling of how many bosses have been cleared so far soon. It seems the Early Shift are still the only guild being updated over at Raider.io, but they are indeed on 6/11 with Garothi, Felhounds, Hasabel, High Command, Imonar ad Kin'garoth down! Updates have started coming in finally and we can expect a whole not more soon, but for now the inaugural guild to have downed a boss in Antorus is The Early Shift! Portal Keeper Hasabel is the first kill to get registered but it seems likely others were killed sooner. We've also seen the legendary trinket Aman'thul's Wisdom drop off Argus and it seems it's a completely random drop chance on all difficulties. As we wait, we can at least take a look at the Argus (and probably Legion) end cinematic! Servers have been up for quite a while and there are definitely some kills happening, but the API for Antorus wasn't quite ready for the raid launch, so we'll have to wait a bit more to see what's happening and how many bosses are even down! Servers are expected to be up around 3PM CET, so let's see how quickly the guilds get to the raid and start downing bosses! Here we are in what will probably be the final raid of Legion, as Antorus: the Burning Throne opens its gates today. As usual we're starting off with Heroic progress, where we get to see some of the perhaps lesser known guilds battle it out to get some World Firsts. The coverage will be a little less intense than next week's Mythic, of course, as there will be a lot of kills overlapping and the standings might shift drastically in the start. Usually we see the endboss dead within a day or two, and last tier saw Nurfed get KJ down first. 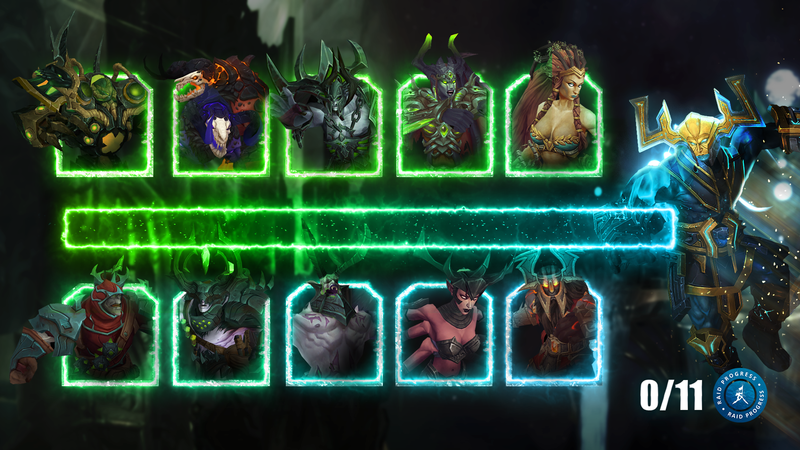 So, let's see how it goes today and just how many guilds finish up the eleven bosses of Antorus in the first couple of days, as we wait for next week and the main event, with Mythic progress looming large!